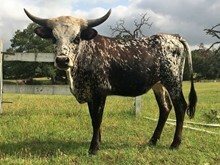 A big colorful Dickinson bred bull. 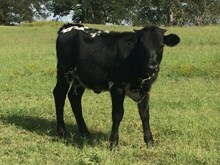 Sired big bull calves with excellent confirmation and every color you could want. Just too many of them. 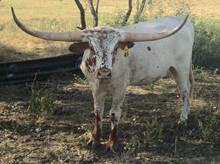 18 bulls out of 22 calves this year. I had to let him go for that reason. 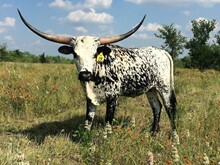 Loved his calves, just didn't need all bull calves.